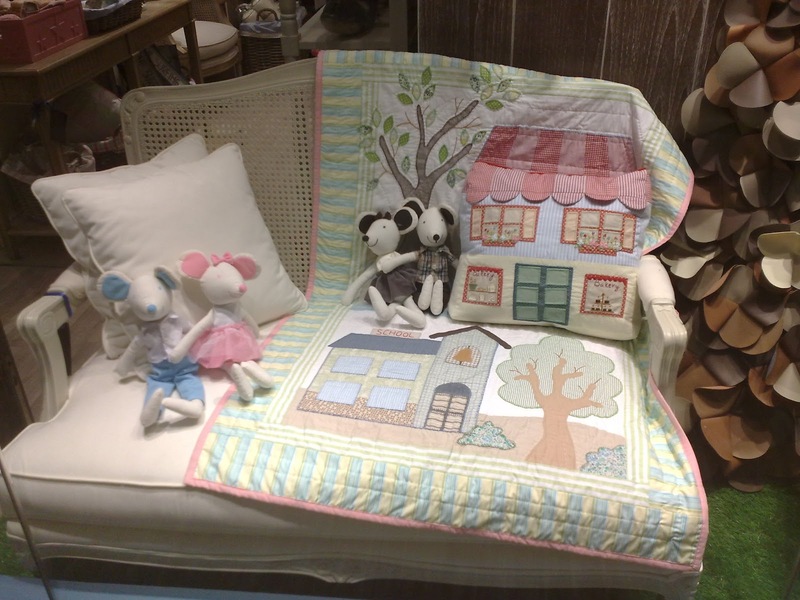 There are two cute sofas, toys, dolls, and other children stuffs under a tree. 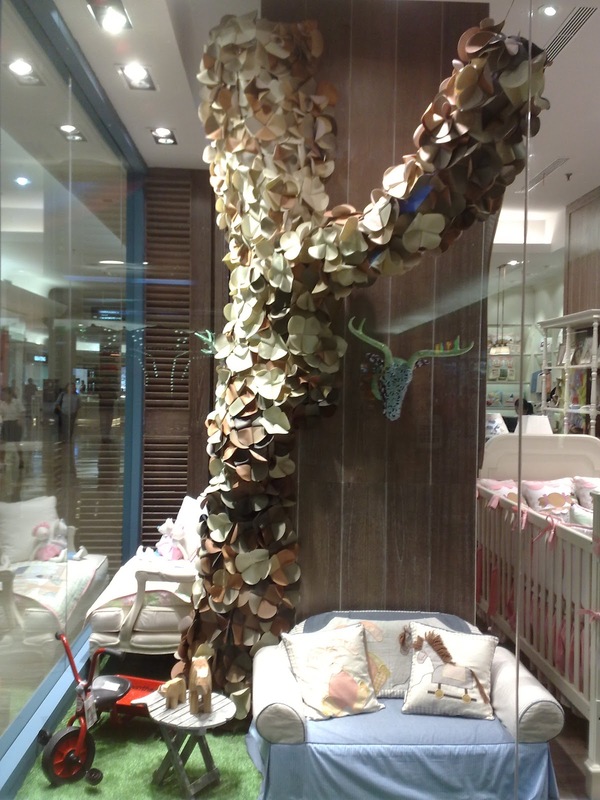 This scenery is part of Cotonnier window display at Plaza Indonesia. 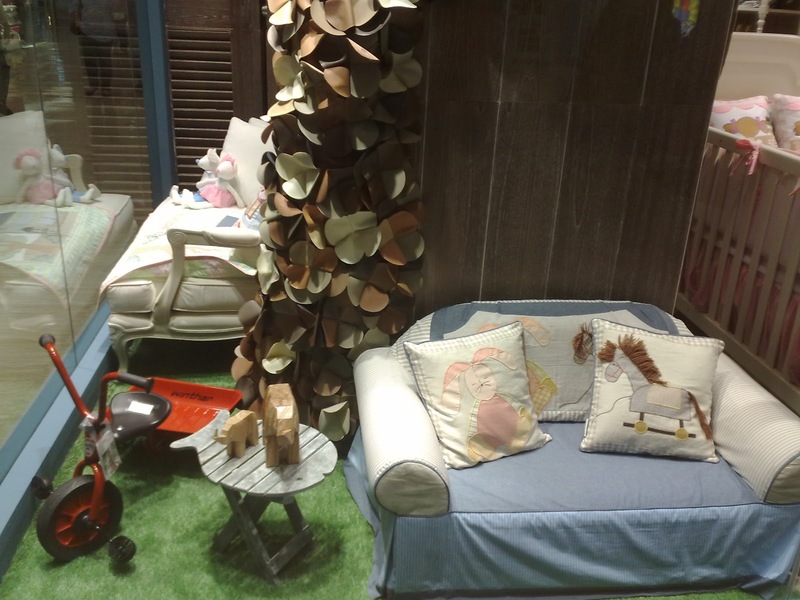 The VM team of this new renovated children boutique excellently designed all the properties. 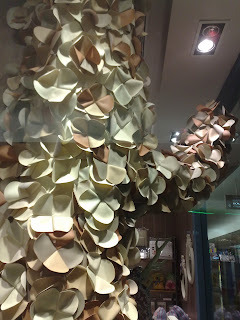 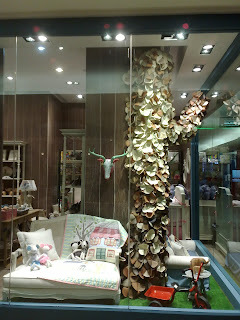 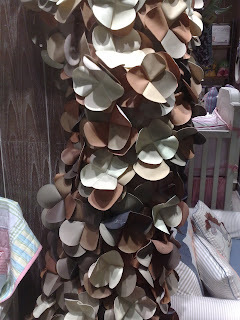 Look at the big trunk of tree that is composed from sheets of leather formed into leaves or flower shape. 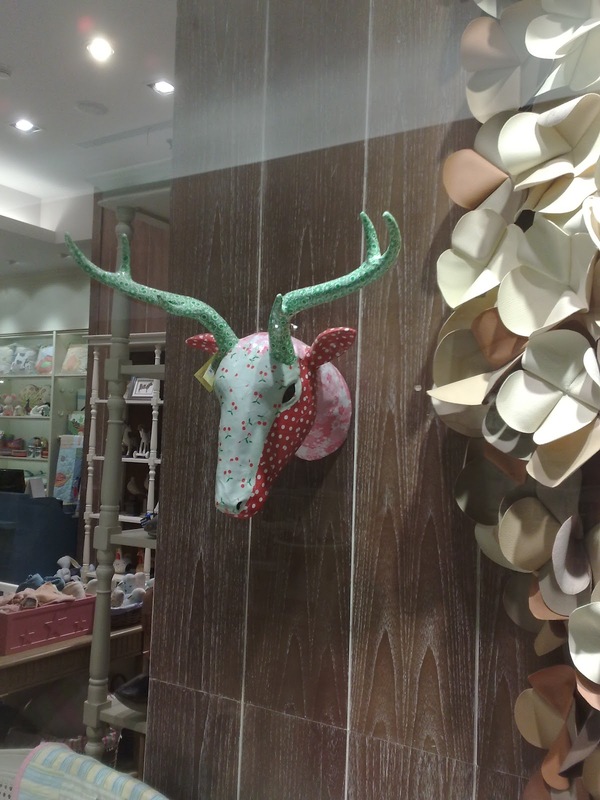 Also the deer head decorations that come in colorful motifs to create a cheerful atmosphere.